When Easter comes around a certain rabbit finds his days to be quite full. This adorable little critter has painted a ton of eggs and makes sure he has enough jelly beans. Because once the big day hits it means this bunny has to hop around hiding all of his treats. Then once everything is hidden then he hides himself to watch everyone search for the hidden surprises. And once the day is over he retires to relax until the following year when he gets to do it all over again! 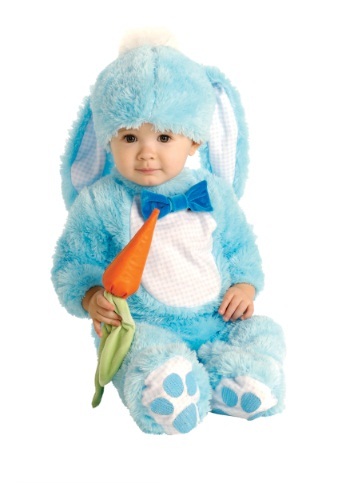 Our baby blue bunny costume is a cute Easter bunny costume for boys. This newborn costume is fun for baby’s first Easter and other holiday such as Halloween.